Following in the wake of the NES and SNES Mini Classic consoles from Nintendo, Sony has announced it is giving the same treatment to its original PlayStation. The system will come with 20 pre-loaded games, but we only know the first 5. What’s on your wishlist? The NES and SNES Mini Classics were huge hits, at least in terms of shifting the limited stock that Nintendo made available. The PS1 Classic will launch in December, just in time for Christmas, and we’ll no doubt get an update on the full list of games before then. For now, though, let’s indulge in a little speculation. Sony revealed five games when it announced the console: Final Fantasy VII, Jumping Flash, Ridge Racer Type 4, Tekken 3 and Wild Arms. The PS1 has so many great games, but which ones are you desperate to see on the mini-console? Quite a few of these PS1 titles have already received significant remasterings or reboots in the past couple of years. The Crash Bandicoot games fall under this category. Whilst we don’t yet know whether Sony will include these titles - after all, Final Fantasy VII is there despite undergoing a remake, which we are still waiting for - we thought it’d be fun to pick the games we felt were great back in the day, as they were on the PS1, without getting into the politics of reboots and remasters. We’ve broken the games down by genre, so you can pick your favorite from each category. 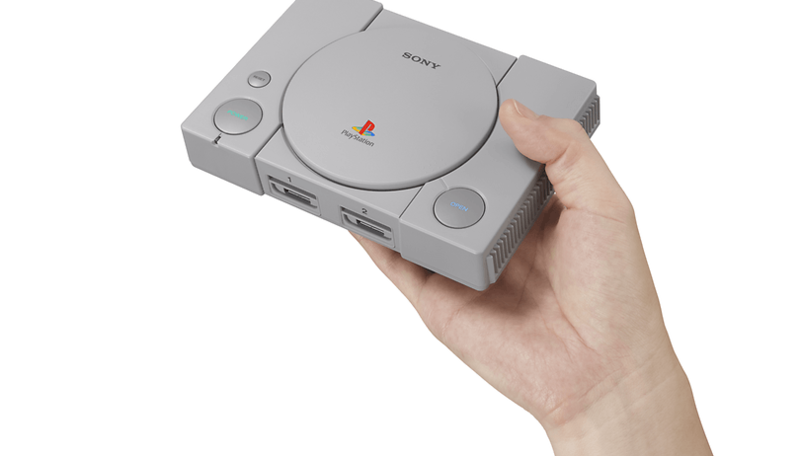 Let us know what’s on your PlayStation Classic wishlist below!